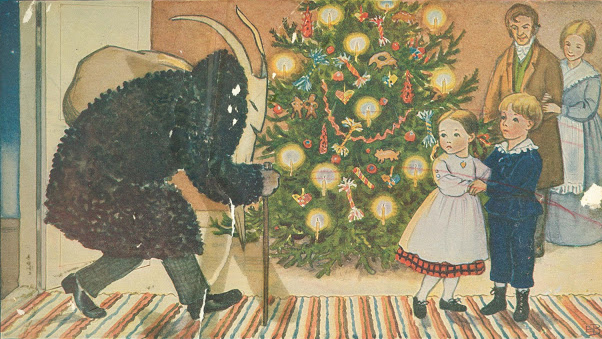 In Rare Exports, Santa Claus’s darker, pagan origins are explored to create a uniquely horrific Christmas classic. PROVO, Utah (December 2, 2014)—Not all Christmas movies are heartwarming stories of magic and family bonding. Some can be dark and horrific. Case in point: Rare Exports, the award-winning Finnish film and the International Cinema’s last film of the Fall semester. The old customs still hold a place alongside the new in Finland. Though the tradition of discipline has passed away, Santa Claus is still referred to as Joulupukki, which literally means “Yule Goat.” And while Santa Claus Village – a theme park located in Rovaniemi – is advertised as the official home of Santa Claus, the Finnish people all maintain that Santa Claus’s real home is in Korvatunturi, a no-man’s land situated between Finland and Russia. Inaccessible and desolate, Korvatunturi also serves as Rare Export’s setting. Rare Exports, which Roger Ebert praised as a “superior horror film,” presents Santa Claus’s pagan roots in a darkly, comical way. Modern-day reindeer hunters are forced to confront a demonic Santa Claus and his elves, dark creatures attempting to free their master from his prison in Korvatunturi.